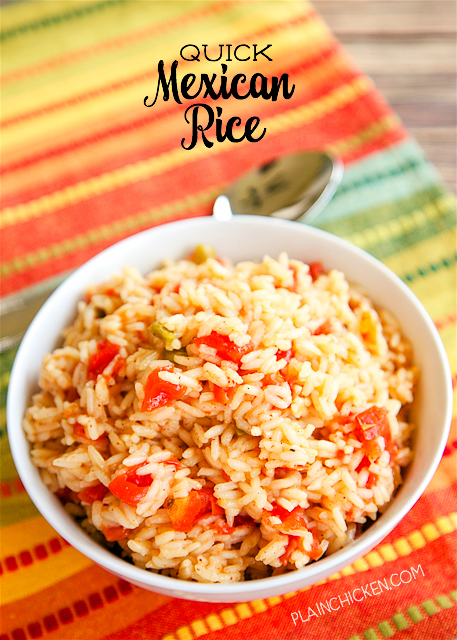 Quick Mexican Rice - only 6 ingredients and ready in 20 minutes! Rice, butter, chicken broth, Rotel, chili powder and paprika. SO much better than the Mexican restaurant!! 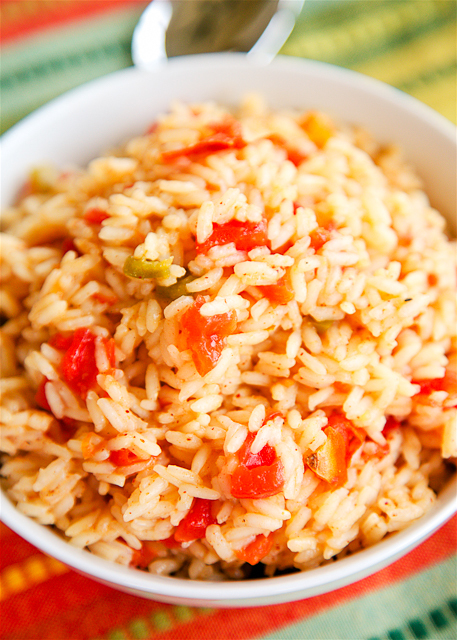 Everyone loves this quick Mexican Rice recipe!! I love Mexican food, but I always over do it on chips and salsa when we eat out. You know how it is! Then there is the queso! Don't even get me started on queso! LOVE! Because of chips, salsa and queso, we try not to eat Mexican out much. If we want Mexican, I will make something at home. Quick Mexican dishes are my favorite during the week. Tacos and fajitas are quick and easy. I sometimes struggle with the side dishes. I came up with this Quick Mexican Rice recipe and it is a winner. It is just as good, if not better, than the rice at the Mexican place. It is super simple - rice, Rotel, chicken broth and a little chili powder. It only takes about 20 minutes from start to finish. Just enough time to whip up some tacos or sauté some fajitas! In a large saucepan, melt butter over medium-high heat. Add rice and cook for 2 to 3 minutes. Add remaining ingredients, bring to a boil. Cover and reduce heat to simmer. Cook for approximately 20 minutes. I make a version of this but i add a little cumin.